News platforms and media websites are a big part of our everyday lives, even if we sometimes don’t even realize it. They’re a great way of spreading information and also of letting us know about the latest news as they happen. Because of this, having a fast, easy-to-navigate and fully responsive website for your news platform, online magazine or even TV channel is a must-have. Finding the perfect website template that’s both powerful and lightweight is hard – that’s where we come in! We put together a list of our 25 news website templates created especially for newspapers, magazines and other news-related ideas and businesses. All of them have a well-organized, highly customizable layout but are also packed with lots of useful features, from headers to widgets. 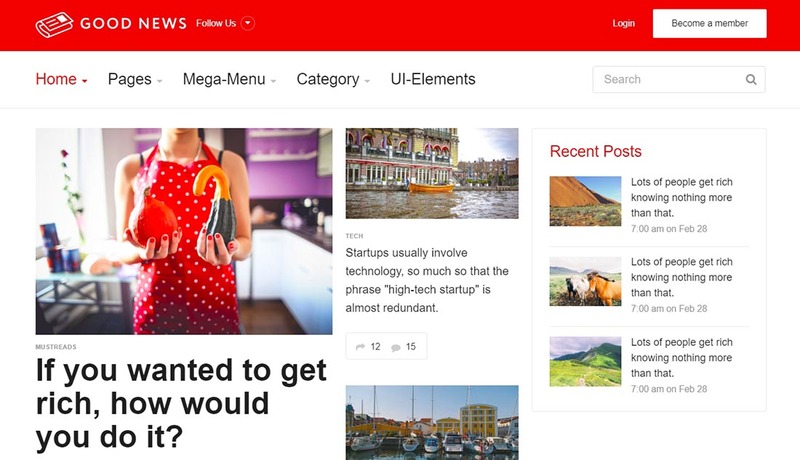 24h News was inspired by the professional, clean look of well-known News TV channels. We recommend it for newspapers, news-related TV channels or even magazines. The download package comes with more than 50 awesome HTML files that can be easily installed and customized. 24h News was built on top of the powerful Bootstrap framework and it’s packed with lots of powerful features. You can choose from 10 color palettes and even eye-catching animations to your website. 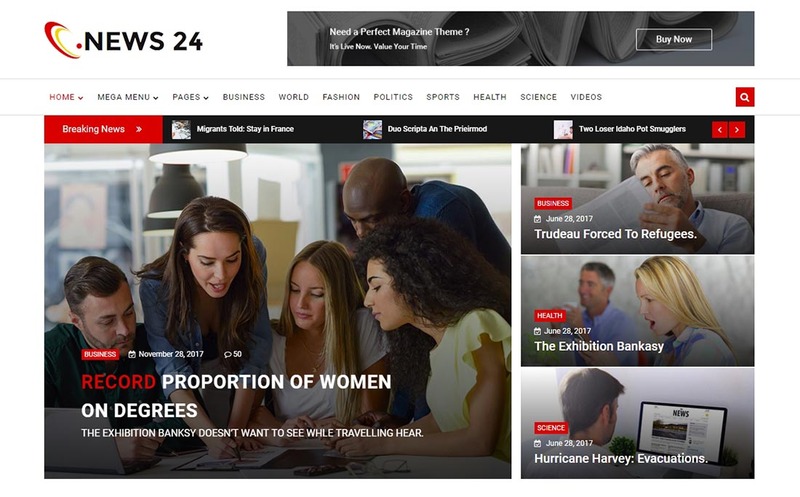 News 24 is another great example of a simple but powerful website template created especially for News and TV websites. This HTML template is fully responsive and it fits well any kind of website from fashion, sports, politics to blogs, beauty and different types of magazines. News 24 was created with jQuery, CSS3 and HTML5 and it’s fully responsive and mobile-friendly. 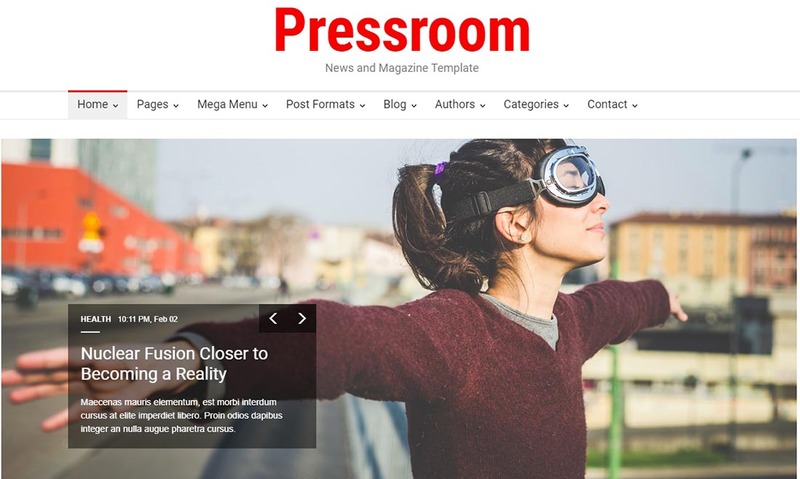 Here we have Pressroom, a stunning and fully responsive website template for magazines or other news-related platforms. It’s also a great option for creating review websites. This template is fully scalable on any device, browser or screen size so you can rest assured that your users and visitors will have the best experience at any given time. Pressroom comes with 15 header designs, color skins, homepage styles, 10 different post types and many more! 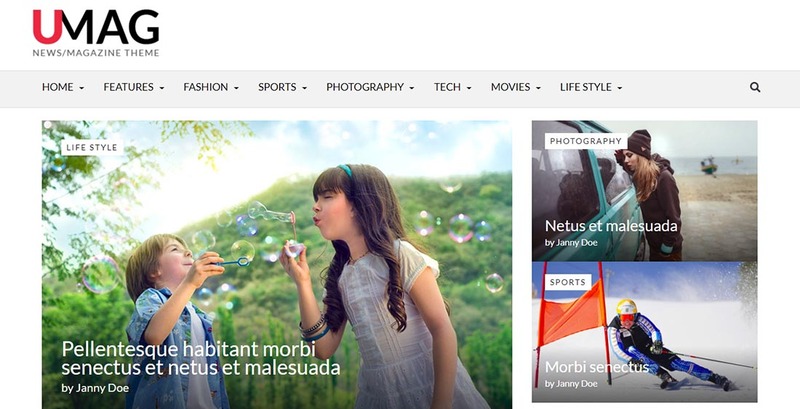 NewsEdge is a modern-looking and eye-catching HTML template for magazines, TV channels etc. It was built using Bootstrap 4 so it’s fully responsive and mobile-friendly. This powerful template comes packed with lots of options and features such as 7 different already-created homepage styles that you can choose from, Google Maps, 4 different post types, smooth transitions and more! 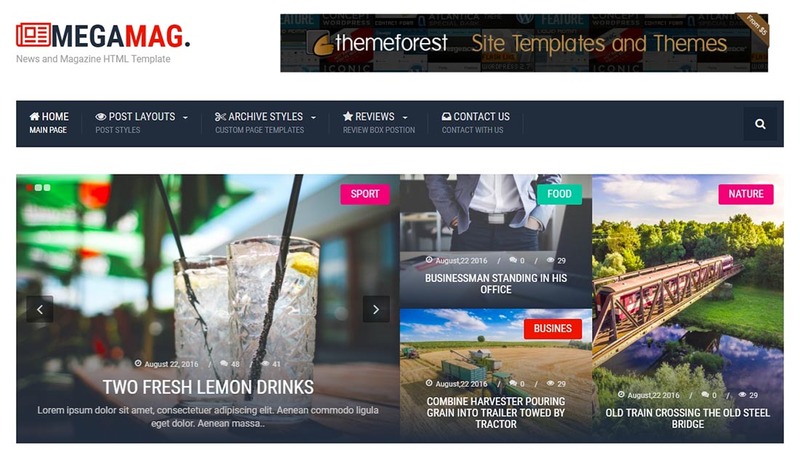 If you’re looking for a website template that is more suitable for newspapers, as well as magazines or professional blogs, then you should take a look at Weekly News. This item is very easy to install and customize in order to create the perfect result for you and your business. It comes with a clean code, PSD files, and a very versatile HTML5 & CSS3 layout. 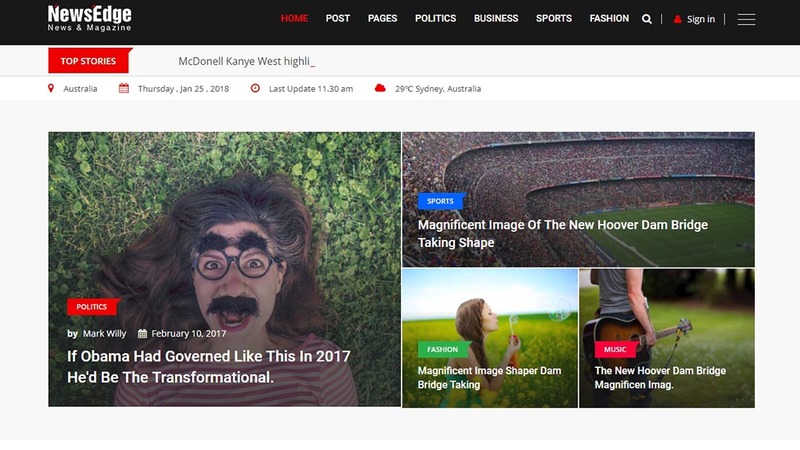 Hotmagazine is a premium and versatile HTML template that will work great for any sports, fashion, tech, travel magazine or even advanced blogs. Besides having an eye-catching and easy-to-comprehend layout, Hotmagazine is also very easy to use! You can choose from lots of different options such as homepage layouts, single post layouts, page types etc in order to create the perfect platform to showcase your ideas and news. NewsPress is another stunning example of a website template created especially for blogs and newspapers. Because it was built with Bootstrap 3x, NewsPress is super responsive and completely scalable on any mobile device or screen size that your visitors may use. You can start moving things around and customize different elements in order to create the perfect platform where you can share the most important news in the world with your audience! 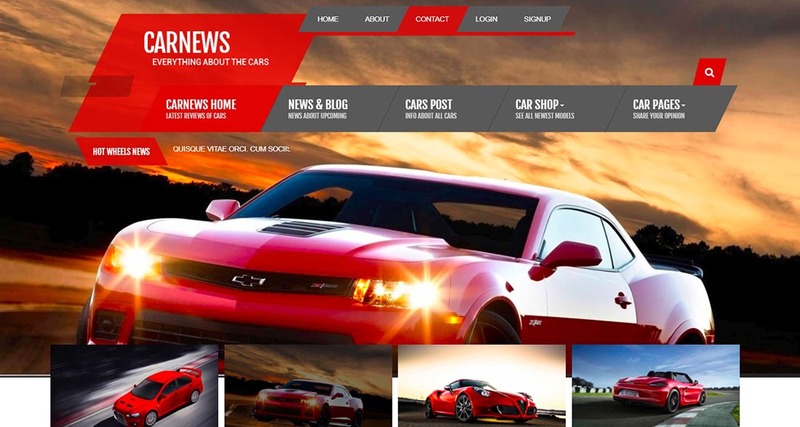 If you want to create a website for any kind of vehicle-related magazine or blog, then you should know that Car News Blog is a one-of-a-kind HTML template. It has a very modern design that’s fully functional but also very easy to install and personalize. It’s so versatile that we’re sure you’ll be able to use it for any of your personal or commercial projects and ideas. Spectr is a fully responsive HTML Template designed and coded with magazines, newspapers and review websites in mind. By choosing from one of the unique already-made homepage designs, you can make sure that your visitors will have a great first impression when accessing your website. This item comes with eye-catching carousels and sliders that are touch sensitive so they work perfectly on any device. 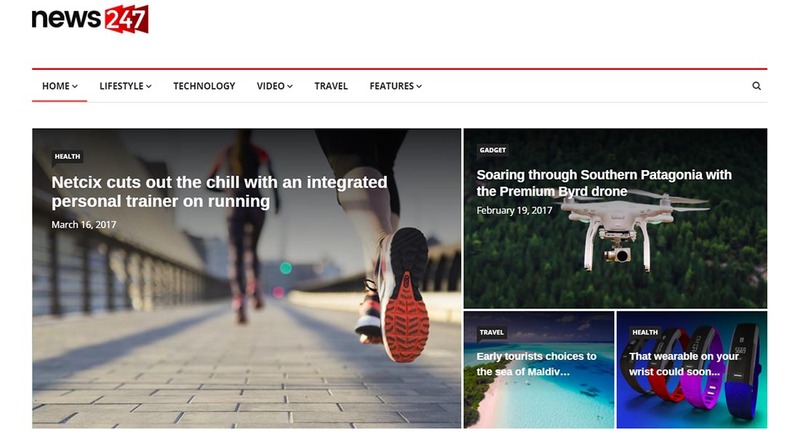 Here we have I-News, one of our favorite examples of eye-catching HTML templates for news and magazine websites.This template has a versatile and highly customizable layout that can adapt perfectly to different kinds of topics such as fashion, sport, tech, weather, travel and more! It’s a perfect template if you want to create a personal or well-known platform where you can share your most important news and ideas with the world. This template also comes with 2 powerful weather widgets and lots of useful pages. UMag is that kind of website template that catches your eye at the first glance. This template comes with great design and nice color and font choices and it lets you choose from more than 10 category pages, more than 7 post formats and more than 20 homepage designs that are so easy to customize you won’t believe it! Another cool option is the light and dark versions – you just need to choose the one that fits your ideas best! 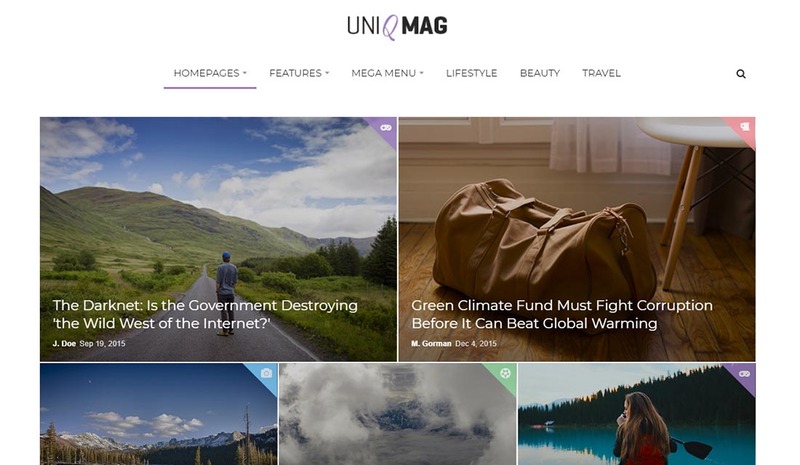 If you want to enhance the look of your blog or just to create a news platform, then UniqMag template might be a great solution for you. This template has great focus on the reading experience so you can be sure that your website will look great on any device and all the information will be clear as crystal. 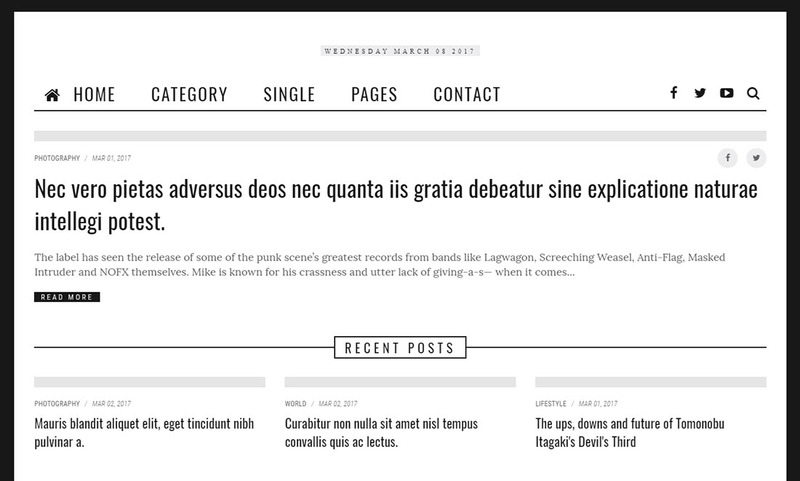 UniqMag lets you choose from 8 blog layouts, 3 sliders, lots of sidebar and social bar options, 5 headers and a lot more! You can give your website the right feel by choosing from one of the 600 free Google Fonts! Another great customizing option is the possibility to see how your website will look like in unlimited color palettes! 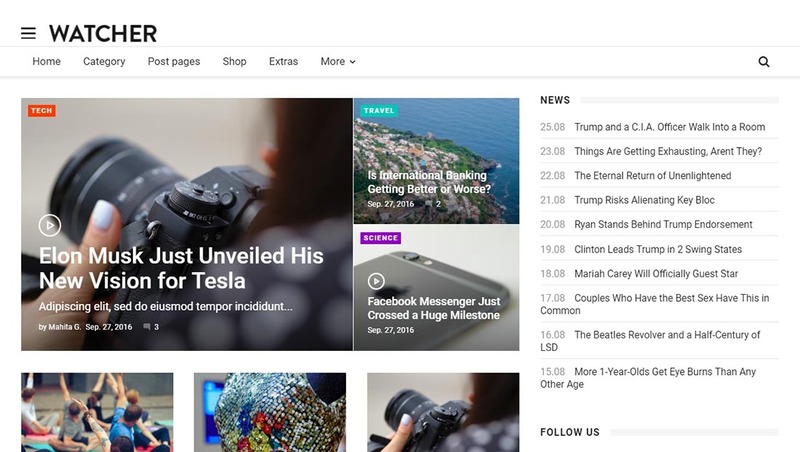 Warta is a fully responsive HTML website template designed and coded with news platforms and magazines in mind. This template was built on top of the powerful Bootstrap 3 framework and it’s very well optimized so it will look and work perfectly on any device, screen or even browser. Warta also comes with LESS files and a very easy-to-understand code. You can also add up to 53 different social icons to your website so you can be always connected with your audience. Fraction is a great news and magazine HTML template that’s so versatile that it can be used for unlimited businesses and ideas. This template comes packed with tons of options for customizing the header, footer, widgets and even add a cool drop-down menu that will help your visitors navigate easily on your website. Fraction comes with 23 HTML files and 11 PSD files. If you’re planning on creating a useful and eye-catching online magazine, then you should take a look at Watcher. This is a simple but extremely powerful HTML template that comes with a clean and uncluttered layout. It’s perfect for magazines or for any kind of person that wants to share their ideas, images and news with the entire world. Watcher was created for storytellers that need a modern and stunning website. 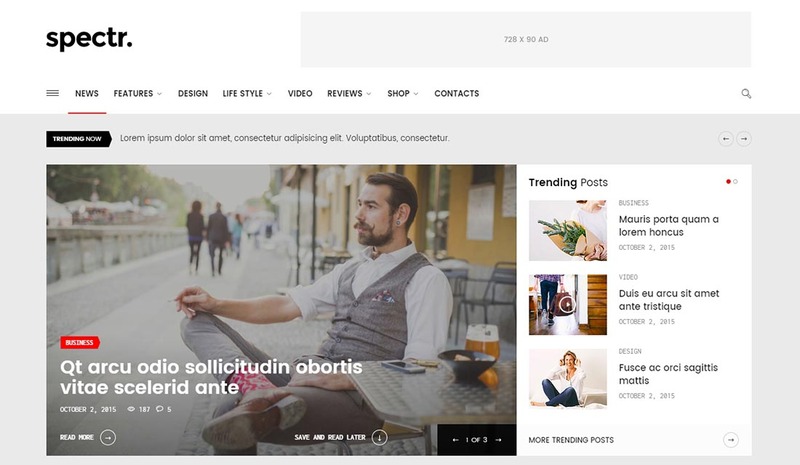 Allegro is another example of a clean and easy-to-navigate HTML template that will work perfectly for any news, TV channel or magazine websites. One of its greatest features is the possibility to add a CSS3 animated drop-down menu to your website that’s both beautiful and useful. Allegro comes with 20 HTML files and 9 PSD files. Here we have CIZ NEWS, the perfect choice for any blog or online magazine. This HTML5 template has a fully responsive design that will look and work perfectly on any device and screen size and will create an unforgettable scrolling experience for your users. CIZ NEWS comes packed with tons of useful features that will help you create a professional website. This template is extremely easy to customize and you can also add a drop-down or canvas menu, as well as lots of Fontawesome icons in order to create a unique website! 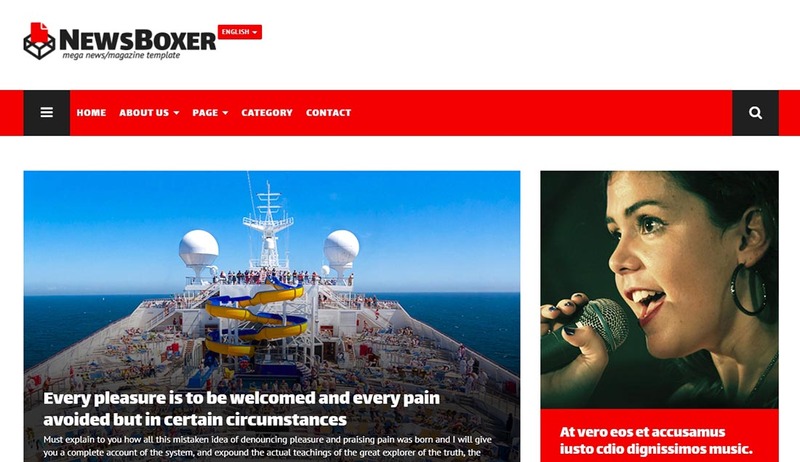 NewsBoxer is a simple but very effective website template for news-related platforms. This template was designed and coded on a 1170px bootstrap grid system so it’s completely responsive and mobile-friendly. 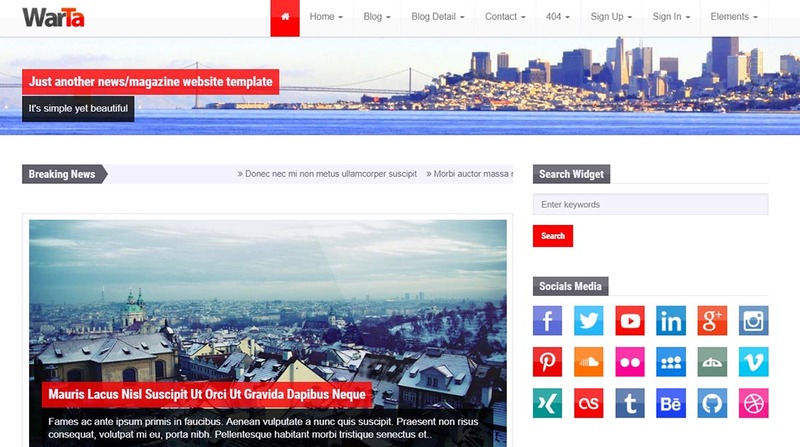 Other than that, this template is also Retina-ready and it offers you the amazing possibility of creating different kinds of awesome blog pages. NewsBoxer also comes with Google Maps and a cool Mega Menu! 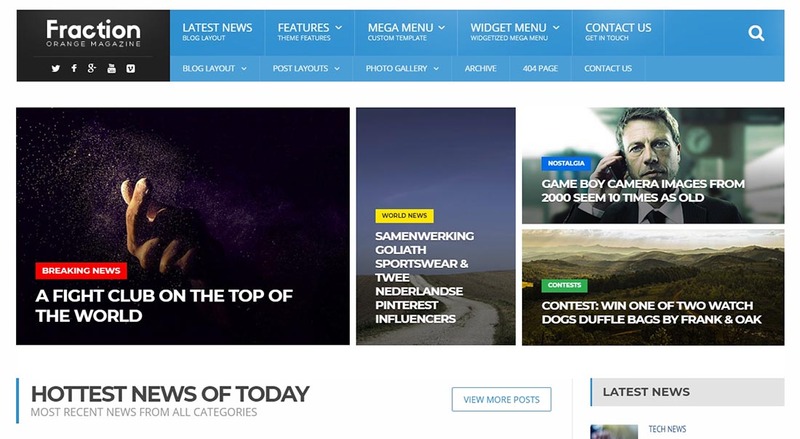 If you still haven’t found what you’re looking for, then you should try Megamag, a very modern website template that follows the latest design trends but also has a strong focus on functionality. You can choose from unlimited color palettes and 4 different designs in order to achieve the perfect result for your ideas and magazines. This template also comes with a fully working contact form so your visitors can easily reach you and keep in touch. If your niche is sports, then you should give Sport News a go because we think it may be the perfect option for you! This HTML5 template is very content-focused and it will create an unforgettable reading experience for your visitors. You can also make your homepage eye-catching by adding a cool slideshow and even highlight the most important or newest articles on your website. Sport News also comes with a useful countdown, match schedules and more! This template is fully responsive and mobile-friendly. 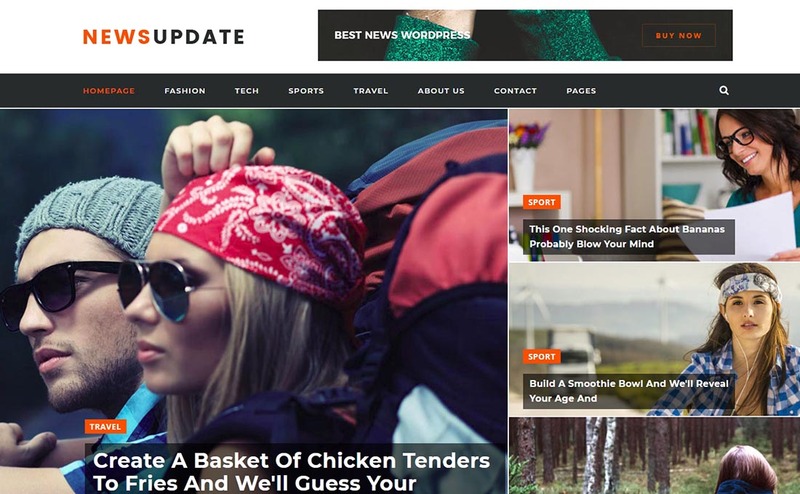 If you’re still searching for the perfect news and magazine template, then search no more! 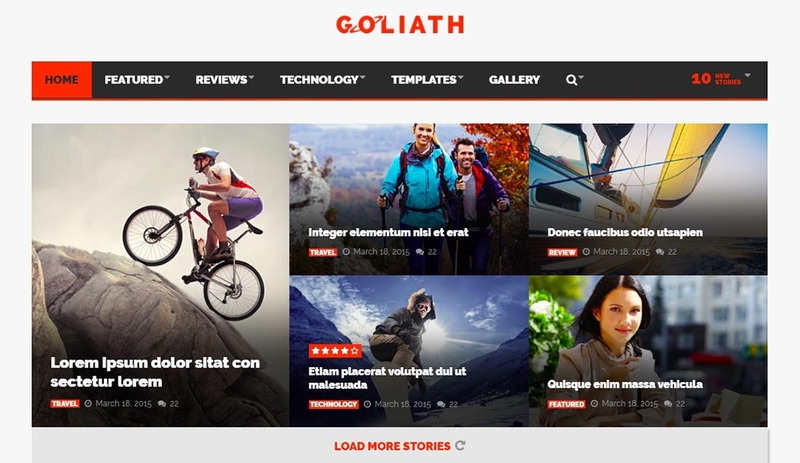 Goliath is a fully responsive HTML template that’s very easy to use and customize! This template comes with two different skins – dark and white – so you can choose the perfect one for your website. Goliath is also available for WordPress. Good News is a simple but effective website template that comes packed with tons of useful features. You can choose from countless colors, move and change the elements in order to create your unique layout and design and even add a fully working newsletter form to your website – this will help you create a powerful email database for your business. 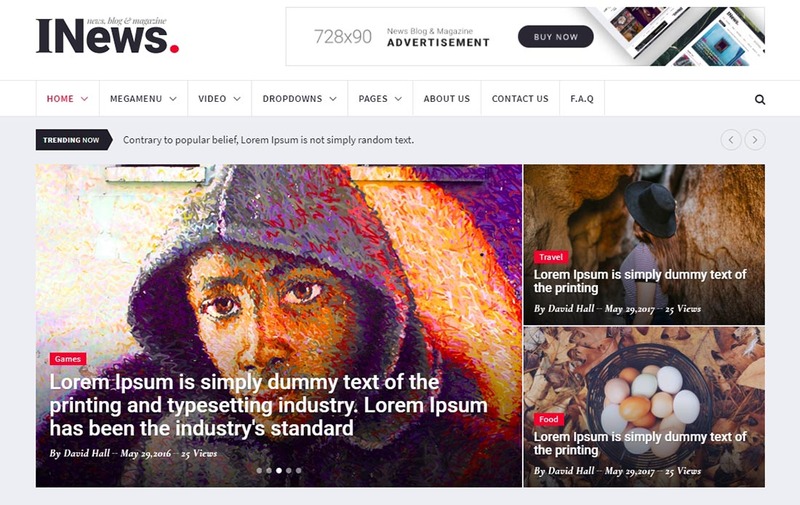 NewsTimes is premium website template that has a great focus on design but also on functionality. We highly recommend it for any kinds of magazines, blogs or news platforms. Because it offers so many customization options regarding the layout, widgets and posts, we’re sure you will find a great use for it! 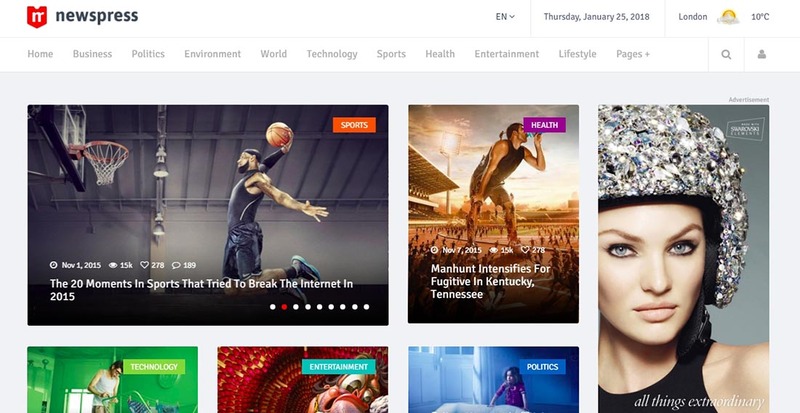 Another great example of an HTML template that will work perfectly for any newspaper, TV channel and magazine is News247. This item has a very versatile design so we’re sure you can also use it for different other purposes such as small or big companies. You can choose from 4 different eye-catching header designs, 5 homepage styles, lots of FontAwesome icons, free fonts and more!